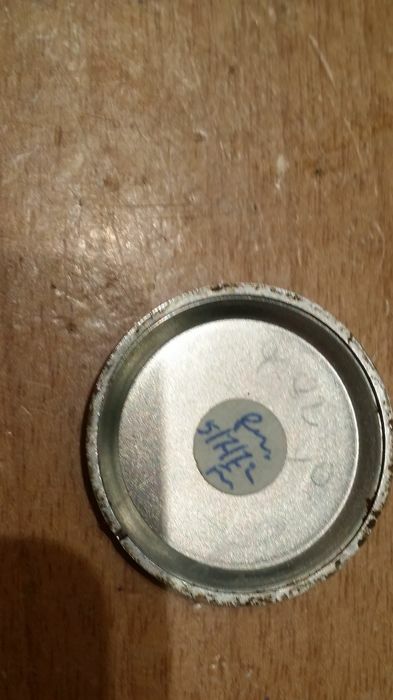 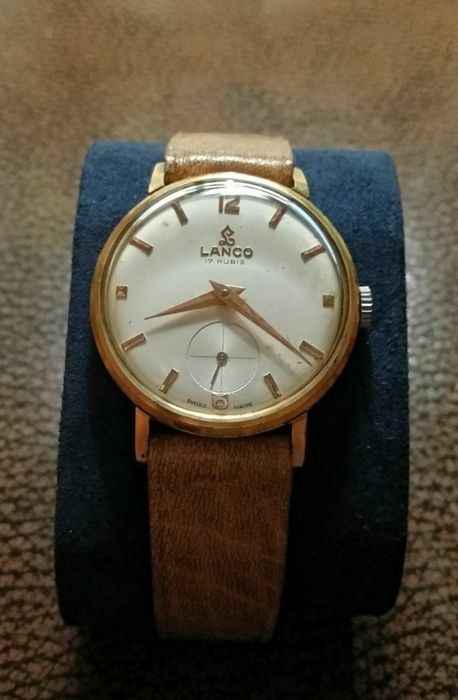 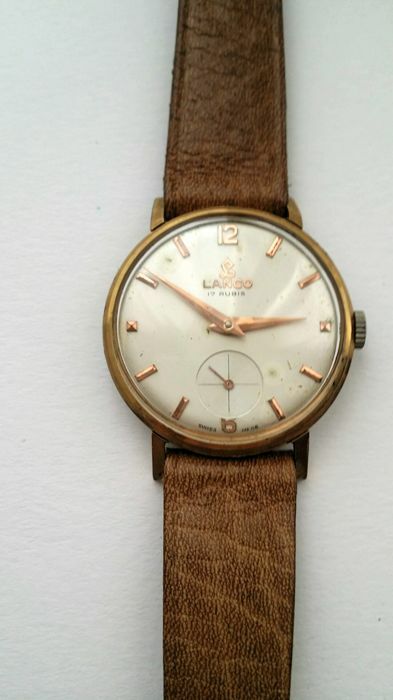 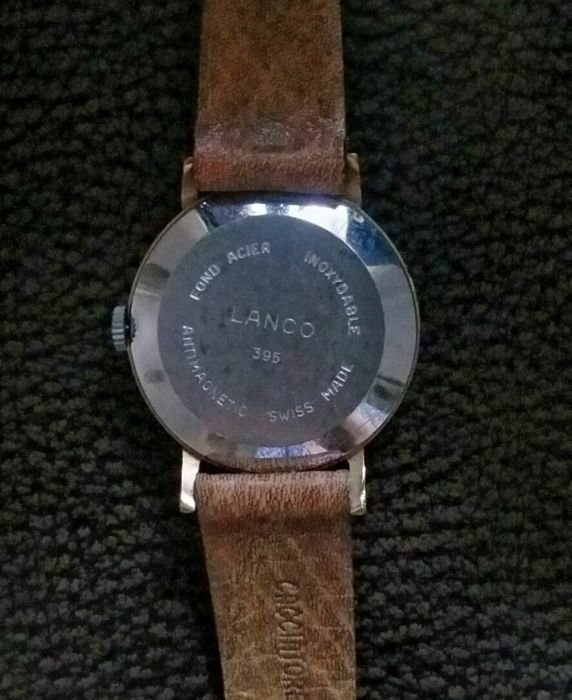 Genuine Swiss Made Lanco Lon watch. 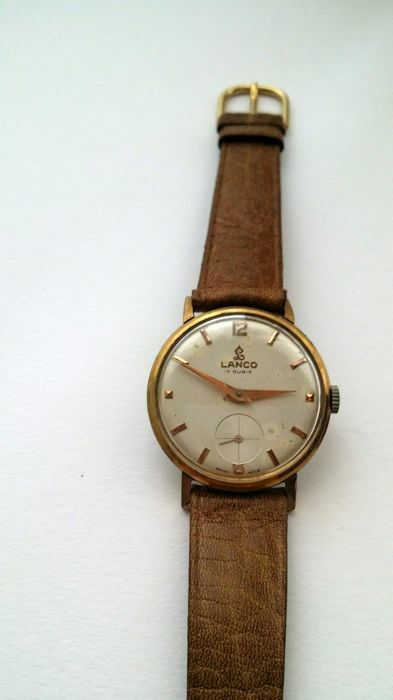 Gold filled dress type watch from around 1955, hard to find in this mint condition. 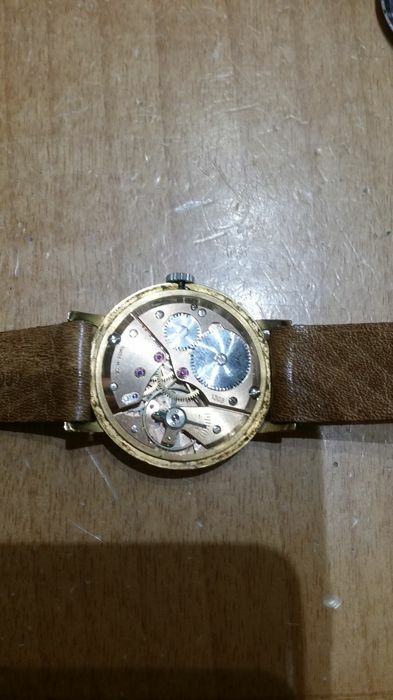 > Fully working, without losing time. 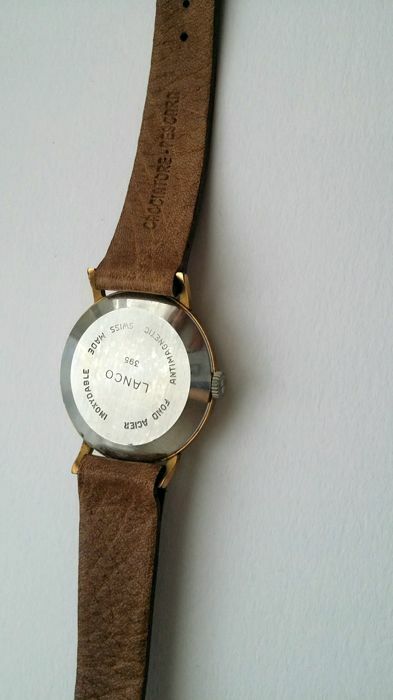 > The watch was reviewed and lubricated. 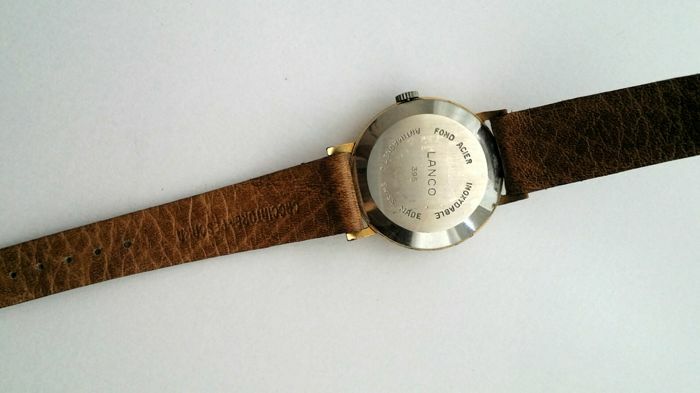 Leather strap 18 mm. 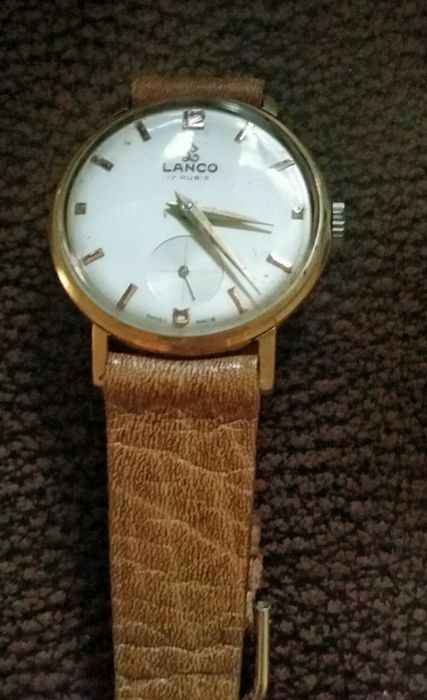 Large strap 11 cm, small strap 6,5 cm. 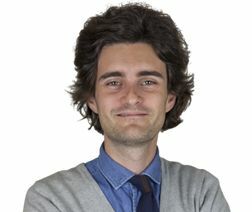 > Main functions: hours, minutes and sweep seconds.